Pepsi has partnered with Microsoft Xbox to create a Pepsi Max branded football game based on its recent 'crowd surfing' football ad, which is the first of its kind for the gaming and entertainment service. The mini-game forms part of Pepsi Max's Max It! 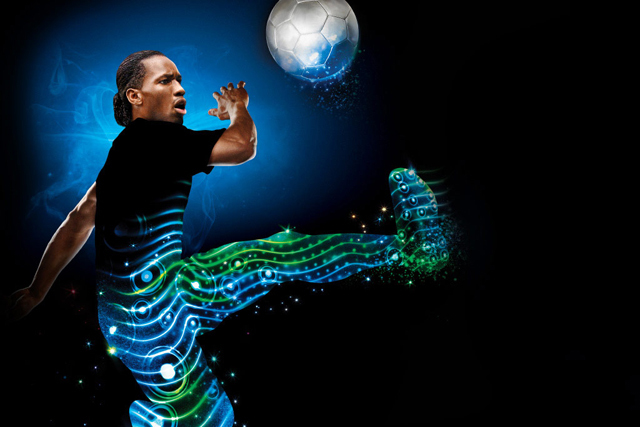 campaign, and is based on the TV ad which shows star footballers, including Lionel Messi and Didier Drogba, showing off their skills at an outdoor festival. The game on Xbox Live comprises of three levels, where users select an avatar and take on Pepsi Max’s footballers in a series of challenges, which recreates scenes from the TV ad. Players receive digital prizes, such as Pepsi-branded avatar T-shirts and themes to personalise their home screens, when they complete each level. Xbox Live has created mini-games for brands in the past, but this the first branded game launched in multiple markets. The games will be promoted via video banners on the Xbox Live dashboard and users who click through will be taken to a Pepsi branded destination, where they can see the TV ad and get the opportunity to the play the game. Pepsi has also created a Facebook app that enables users to star alongside the Pepsi footballers and Calvin Harris, who provides the soundtrack to the ad. Michael Dwan, senior director of global creative solutions at Microsoft EMEA, said: "The new Xbox LIVE mini-game has enabled Pepsi Max to leverage its high-impact TV advertising collateral in a highly interactive gaming environment." Earlier this month, Pepsi unveiled its first global marketing campaign, with strategy to align itself closely with the entertainment industry, under the strapline "live for now". It launched the first ad featuring pop star Nicki Minaj this week. It also launched limited edition cans, featuring Michael Jackson.